Matt Beaulieu and Elle McClure were deeply in love with one another and trying desperately to have a baby when she had an accident that put her on life support. Her wish was to be laid to rest, not to be kept alive on machines if there was no hope of recovery, and Matt was ready to follow her wishes…Until he learned that within his wife’s broken body was a baby, holding on for life-and he is ready to fight with all that he has for that baby’s life. But the legal system has never seen this kind of case before, and his wife’s legal paperwork regarding the issue means that suddenly a great many political issues are coming into play. Pro-Lifers are lined up in front of the hospital, protesting the pulling of Elle’s life support while she carries an unborn child, Pro-Choicers are claiming that using Elle’s body against her legal wishes, to keep the baby alive, is wrong. A media circus hovers around Matt, and all he wants is to do what he knows Elle would want-keep the baby alive no matter what it takes. Keep the tissue nearby if you want to brave this novel, which delves into places that most of us would prefer not to think about…Long, drawn out deaths, how we remember our loved ones and how we would want to be remembered after we died, and the horror of a world that can try to tell you to pull the plug on your wife and unborn child because of a legal form. 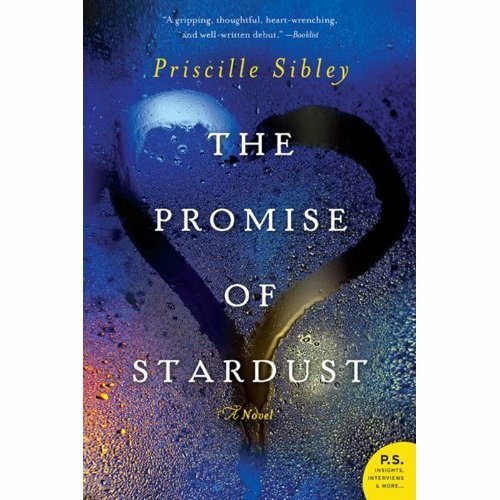 Readers who enjoyed What You Wish For, by Kerry Reichs, which addressed the controversial topic of parenting and the politics of test tube babies and non-traditional approaches to having children, will likely find The Promise of Stardust, by Priscille Sibley, equally riveting. This reviewer went through half a box of tissues, however, so you’ve been warned!